Third of a comedy poetry prose fantasy travel by Google Maps trilogy. The X Files returns on Fox for its tenth series tonight, and it’s looking greenYgreyer than ever. Thanks to Fox for creating an intelligent series that makes its audience think, and question the world around them. 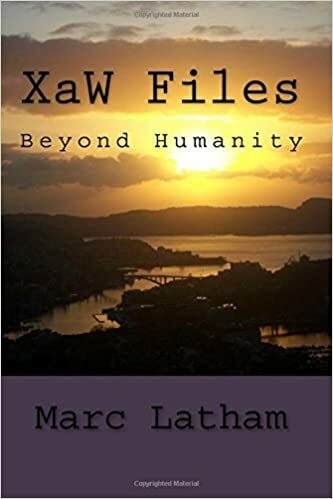 While X Files only provided a framework for XaW Files: Beyond Humanity, the book does try to investigate my own mind, providing an insight into the difficult process of writing a whole book telling an original story, featuring multiple diverse characters who travel over the vast distances of the whole of Eurasia and beyond. The format of this book follows the nine series and 202 episodes television series history of the X Files. The number of episodes in each chapter also mirror the number of episodes in each series. Introduction – pages 1 – 8. Chapter 1: Russia – 24 episodes, pages 9 – 58. Chapter 2: Baltic – 25 episodes, pages 59 – 113. Estonia, Finland, Latvia and Lithuania. Chapter 3: Central East – 24 episodes, pages 114 – 167. Belorussia, Poland, Czech Republic, Slovakia and Ukraine. Chapter 4: South East – 24 episodes, pages 168 – 221. Hungary, Romania, Moldova, Bulgaria and Greece. Chapter 5: Balkans – 20 episodes, pages 222 – 265. Albania, Macedonia, Serbia, Montenegro, Bosnia, Croatia and Slovenia. Chapter 6: Alps Western Med – 22 episodes, pages 266 – 316. Austria, Liechtenstein, Italy, Spain and Portugal. Chapter 7: Western Europe – 22 episodes, pages 317 – 370. France, Switzerland, San Marino, Germany, Luxembourg, Netherlands and Belgium. Chapter 8: Scandinavia – 21 episodes, pages 371 – 422. Chapter 9: North West – 20 episodes, pages 423 – 475. Appendix – pages 476 – 488. It’s available to buy, or rent for Prime members, on Amazon; and various other outlets too I think. Today’s episode of the XaW Files: Fantasy Travel by Google Maps Across Eurasia uncannily and uncaninely features the Wombles of Wimbledon just after the Wimbledon tennis tournament took place. The Wombles are set to return, like Monty Python and Dangermouse, in a revival of good 1970s British culture. By the way, there’s so much sport been going on lately that William Wolfsworth called himself a sport correspondent yesterday. He does like a game of football, but I think that was an own goal. Chekhov’s statue returned to its plinth position and stood still and silent as if nothing had ever happened. I was wondering what to do with Sibiryakov’s body when a Womble I remembered as Tomsk wandered along and cleared the body up. I thanked Tomsk, and said I’d been a fan of his when the Wombles were at their peak, although Orinoco was my favourite. I asked him where Orinoco is now. Tomsk replied that he’d returned to his river in South America. Tomsk asked if I knew Sibiryakov, as he brushed his body up into his bag. I said I had met him on the road to Irkutsk, and he’d seemed a very interesting travel companion. Tomsk said it was a shame, but Chekhov’s gun kept on being used, and many fictional characters had been killed by it over the years. ‘Still, I suppose it keeps me in stories, and gives my work a deeper meaning,’ added Tomsk. I replied that it did seem to have matured a lot since its time on Wimbledon Common. I remembered then that Sibiryakov had indeed told me that Tomsk had told him about me. I asked Tomsk if there was some meaning to the connection between the three of us. ‘It is the self-fulfilling philosophy of Chekhov’s Gun,’ replied Tomsk, before he shuffled away along the Tom River banks looking not unlike he had on Wimbledon Common. Anton Chekhov, Russian writer, (1860-1904). Link for Amazon book and kindle. Link for multiple Ereaders at Smashwords. After two failed lift-off attempts I think we are at last in the right time and place, and with favourable weather conditions, to join greenYgrey on its epic third ramble. Trying to maintain XaW Files blog post standards while creating new innovative material for expectant greenYgreyliens can seem like a trudge through a Siberian steppe in deepest winter. However, it can feel rewarding once the file is complete. I’ll use that before I get bored. Sibiryakov and I travelled on a greenYgrey train to Tomsk. We talked about Burt the Butterfly all the way, remembering his best butterflying and greenYgreying displays, and hoped that it was enjoying its post-Krasnoyarsk life. We saw a statue that seemed to be greenYgreying on the edge of the Tom River, so I asked it if it was in fact enjoying a spot of the social craze spreading across the human world like a wildfire. I asked it in Penguinese, as Grey did of course learn that language in Penguin, Tasmania, on its epic Oz ramble, and the Chekhov statue had Penguinese looking feet. The Chekhov statue raised its umbrella in an expression that seemed to say that it didn’t understand me, so I asked him again, only this time in human. The Chekhov statue said that it was not a penguin, and not a greenYgreyer… not by choice anyway. It explained that the Tomsk townsfolk had built it after the great Russian writer Anton Chekhov had called the Tomsk townsfolk dull while passing through on his way east to Sakhalin Island. So his place in front of green and yellow plants was not his choice, and whether he was greenYgreying or some other colour combinating was also not his choice. He said that Chekhov had obviously enjoyed greenygreying, but he was not Chekhov. Sibiryakov dived at Chekhov’s statue, and they struggled. Chekhov’s gun went off, and Sibiryakov stopped moving. I said ‘you killed Sibiryakov’, like the South Park kids used to say ‘you killed Kenny’. riding the Tomsk CoA gYg horse. Anton Chekhov quotes and adaptations inspired by examples posted on Brainy Quote. Chekhov said ‘don’t tell me the moon is shining; show me the glint of light on broken glass’. Chekhov’s Gun is a dramatic principle inspired by Anton Chekhov saying that if a gun is described in a story it should later by used. 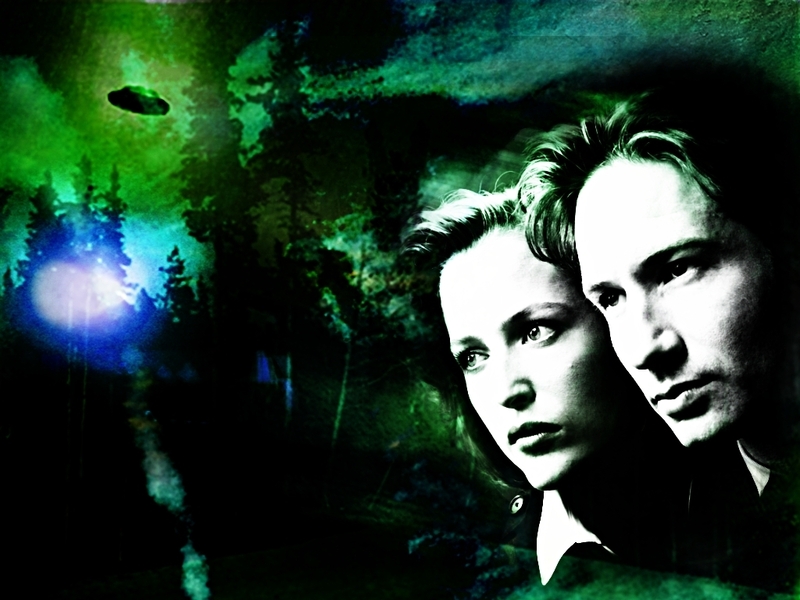 in line with X Files Season 1.
and did not take artistic licence. Is a life not better remembered with a living form: a tree rather than a statue. Although statues can be great works of art, are those of life forms such as humans more representative of those life forms than other life forms, such as trees. Bert the Butterfly whispered to me that he was not a real butterfly. He had been a real butterfly once. A beautiful black, grey and white butterfly that liked to eat from yellow flowers, with green stalks. His image was captured by a human; using a camera. That image was posted onto the WWW, and in the greenYgrey world he became Bert the Butterfly. Bert made it clear he was a metafiction: where readers are made aware that they are reading a fictional work; a literary form that makes use of elements of fairy tale construction and literary parody. Bert said it was now time to popov, and flew back towards the natural world. see Yevgeni Anatolyevich Popov literary style. After a couple of months and eight chapters/episodes virtual travelling by Google Maps greenYgrey has reached the more populated west of Siberia. Irkutsk is an important city on the trans-Siberian highway and trainline. gYg is still travelling with Alexander Sibiryakov. Hi, it’s G.G. Howling, fiction writing correspondent at the greenYgrey inspired by highly successful writer J.K. Rowling. The new chapter of the X Files parody begins with thoughtful information mixing the greenYgrey rebranding with Irkutsk maps and symbols, before Bert the butterfly enters the story. After a tad too much time travelling, the episode ends with a little literary nonsense poem that rhymes A-B-A-B-A-B-A-B-A-B. I felt at home looking at the Irkutsk map, as it seemed to have everything that the new rebranding of the greenYgrey has to offer, with large areas of green and grey, and a yellow Y shape in the middle. I also liked the Irkutsk coat of arms, featuring Dauria the Siberian tiger amongst lots of old-fashioned greenygrey, but not so much that it was carrying a sable. A butterfly called Bert then got in on the greenYgreying act, so I asked him if he’d seen anything of our Wolfhol. He said there was a lot of greenygreyness around Irkutsk, but he didn’t know if any of it had been created by Andy. We looked all around the city, but couldn’t find any signs of Wolfhol, so Bert asked if we’d fancy some time-travelling. We jumped at the chance, and were soon flying through time. However, we must have jumped too high, and found ourselves back in the early 1900s club. at the arc we’ll take another time trial. Hi, it’s Jack Wolfpac, legendary travel writing poet satirical comedy correspondent at the Greenygrey, inspired by Jack Kerouac. Here’s the latest post from the Greenygrey/Grey/greenYgrey’s third epic fantasy travel by Google Maps; the search for Andy Wolfhol across Eurasia. The poem is a seven stanzas quintain rhyming ABAAB, unlike the limericks of the last episode, which rhyme AABBA. like running Earth axis laps. meeting an explorer in history’s haze. it looks the latter from your feet. before my island in the Kara Sea. or milking it under Ulan-Ude. Alexander Mikhaylovich Sibiryakov (Russian: Алекса́ндр Миха́йлович Сибиряко́в) (October 8 [O.S. September 26] 1849, Irkutsk – 1933) was a Russian gold mine and factories owner and explorer of Siberia. Sibiryakov graduated from the Zurich polytechnic institute in Switzerland. Later in life, he financed the polar expeditions of Adolf Erik Nordenskiöld (see Vega Expedition) and A.V. Grigoriev. He also sponsored the publication of works on Siberia’s history. In 1880, he made an attempt to enter the Yenisei estuary through the Kara Sea on a schooner. In 1884, Sibiryakov reached the Pechora estuary on the “Nordenskjöld” steamer and proceeded up the river. 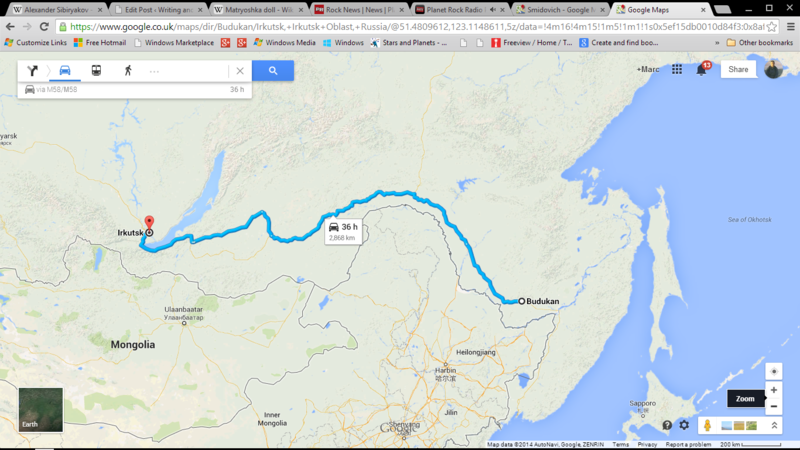 He then crossed the Urals using reindeers and reached Tobolsk by the Tobol River. Sibiryakov contributed significantly[how?] to Siberia’s economic development. Sibiryakov Island, an island in the Kara Sea at the mouth of the Yenisei River, is named after him, as well as icebreakers A. Sibiryakov andSibiryakov. While we miss the greenYgrey every day, it feels like a special occasion when we receive its latest news from its new rambles, which are at the moment continuing across Russia. Hi, it’s Jack Wolfpac, satirical comedy travel writing correspondent at the Greenygrey. The above heading was a James Bond movie, and there’s a Cheap Trick reference in the latest episode of the greenYgrey’s all new thrilling fantasy travel by Google Maps literary epic comedy parody of the X Files. Cheap Trick’s Live at the Budokan was recorded in Japan, and was a major success for them, full of great anthemic pop rock songs. I thought gYg had made a lot of progress when I read its post, but when I looked at the Google map I drew the conclusion that it had travelled too close to the road, slowing it down to a snail‘s pace. Maybe it had shapeshifted into a snail. I can neither confirm or contradict that theory. I know as much as you do. gYg doesn’t mention any shapeshifting, but maybe it didn’t think it was relevant. or break and rip cerulean fur. Reaching skaya was sign for a rest. main course, dessert and beer. live album which made them rich. or west-travelling Genghis and hordes.